Each time a truck-driver gets behind the wheel of a motor vehicle, he or she is taking responsibility for the safety of all other people on the road. And a truck-driver may never expose others on the road to needless danger. A truck-driver must always comply with the rules of the road and must avoid crashing into other vehicles or pedestrians. If a truck-driver chooses to expose others to needless danger by choosing to violate the rules of the road, and as a result hurts or even kills someone, he or she is responsible and must be held fully accountable. Tractor-trailer or semi-truck accidents, and commercial truck accidents in general, can be more complicated than car accidents. Sometimes the victim of a truck driver’s negligence can sue the individual driver as well as the trucking company, the owner of the trailer or even the owner of the load being carried by the truck. Numerous defendants and insurance carriers might be involved. In trucking accident cases it is imperative to act quickly after the collision. There are many items of evidence that must be promptly preserved in order to satisfy the burden of proof in the event of trial. Delays in acting can result in lost evidence and facts that could be fatal to a case. Texas, as well as the United States government, has special laws that apply to trucks. These laws limit the number of hours a driver can drive without resting, the weight of the load being carried and virtually every aspect of trucking. Frequently the violation of these laws is the reason that the accident occurred. We work with truck experts to get to the facts of each accident and develop a theory of liability to be used to settle or present to a jury. If you or a loved one have been injured in an accident we invite you to contact us so that we can discuss your potential claims. We are determined to obtain a successful recovery for our clients, and we welcome your call so we may get started helping you today! When you meet with an attorney at our firm, we will listen closely to your needs and your goals. We will develop a plan to achieve those goals, and then work aggressively to achieve a positive outcome for you. We are here to help you! If you have been injured in an accident, you probably have many questions that require professional, honest and direct answers. You will need an advocate on your side who will help you protect your rights and recover money for you for medical bills, lost wages, pain and suffering, physical impairment and other recoverable damages related to your injuries. We have been representing injured people since 2001, and we provide outstanding legal representation to our clients. 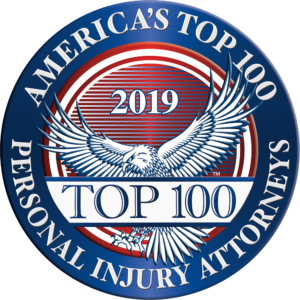 We have recovered substantial verdicts and settlements for our clients because of our dedication to securing favorable outcomes for our clients, and our aggressive, results-oriented approach to our work. Schorr Law Firm understands that your immediate goal after being injured in a crash is to receive appropriate medical care to relieve your pain and discomfort, have your medical bills paid, recover financially for any lost wages or out of pocket expenses, and that you’re compensated for your pain and suffering and mental anguish. Our experienced attorneys will discuss your situation and go over the options available to you, as well as work with insurance companies and other parties involved to make sure your needs are handled appropriately and efficiently. If you are injured in a truck accident of any kind, we can assist you in making claims for compensation for your injuries, lost wages and related damages. We always handle truck accident personal injury cases on a contingent fee basis, so no matter how complex the case becomes, there is no fee unless we recover compensation for you.